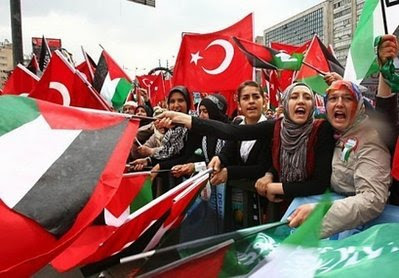 Turkey's Prime Minister Recep Tayyip Erdogan has been vocal and extreme in his rants against Israel's enforcement of its embargo/blockade of the Hamas-run Gaza Strip. Granted, nine Turks were killed - needlessly in my opinion - in an altercation on a Turkish flagged vessel participating in the so-called "freedom flotilla" last week. In one of his statements, Erdogan accused the Israelis of "state terror." Interesting comments from the leader of a country that at best has a dubious record on human rights and an atrocious legacy of genocide against the Armenians and Kurds at worst. Let's talk about the Turks and the Kurds. The Kurds are the largest ethnic group in the world who do not have their own country. It's not that they don't want one, it's just that no one will allow them to have one - they sit on some pretty valuable real estate. The closest they have come is the Kurdish autonomous region in northern Iraq comprising three governorates along the Turkish and Iranian borders. The only reason the Iraqis wrote the autonomous regions provision into their post-Saddam constitution was American insistence, a means to repay the Kurds for their assistance and loyalty to Washington over the years. It was common knowledge that the Kurds would be the first to take advantage of this provision. 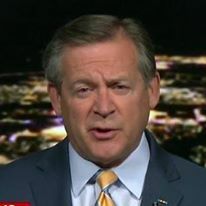 By way of disclosure, I served with the CIA in northern Iraq in 1995 and 1996 working with the Kurds against the Saddam government. It was one of the most rewarding assignments of my career. I fully support Kurdish autonomy. 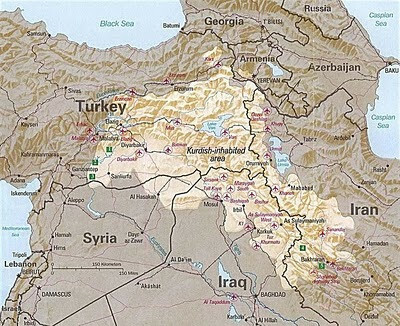 The area inhabited by the Kurdish people extends far beyond the borders of Iraq into what is now Turkey, Iran and parts of Syria and Armenia (see map above). None of these countries are remotely inclined to provide an independent homeland for the Kurds. In fact, in Turkey and Iran, they are not officially referred to as Kurds, but as either Turkish or Persian "highlanders." Of the estimated (no one knows for sure and it is doubtful that any of the host countries are going to conduct a true count) 20 million Kurds that live in this region, well over half live in Turkey. Kurds in Turkey claim that their numbers are much greater, comprising between 10 and as much as over 20 percent of the total population of the country. Again, reliable numbers are not available. Since as early as 1920 (shortly after the Armenian genocide of 1915-1917), the Turks have attempted to assimilate the Kurds into Turkish culture and society - the recent programs have been called "Turkification" of the Kurds. This effort is reminiscent of the "Arabization" (ta'rib) program attempted by Saddam Husayn in Iraq in the 1980's and 1990's. Hundreds of thousands of Kurds have died in the two countries as a result of these programs. Now we are treated to a lecture by the likes of the Turkish prime minister, with questionable rhetoric like, "Gaza is a historical cause for us," (why?) and "we object to those who force the people of Gaza to live in an open-air prison...we will stand firm until the blockade on Gaza is lifted, the massacres cease and the state terror in the Middle East is accounted for." Perhaps we should revisit the Turkish activities against the Armenians and Kurds over the last almost 100 years. Then we can talk about open-air prisons, massacres and state terror - and especially about accountability for past actions. The Turks still refuse to accept responsibility for the Armenian genocide. While we're at it, we could also advise the Turks that if they are serious about some sort of alliance with Iran and Syria, we might support the idea of an independent Kurdish homeland. Mr. Erdogan, before you start accusing Israel of heinous activities, you might want to refresh your recollections of Turkish history. The reflections in that mirror are pretty ugly.